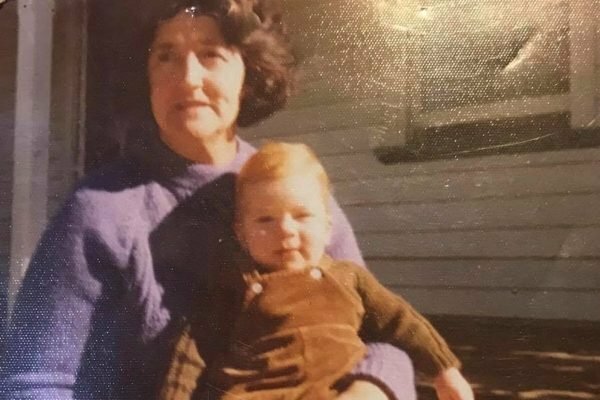 Death of a grandparent: I stayed with my grandma while she passed. As Jeremy Forbes watched his grandmother, Olga, take her final breath, he grabbed hold of her hand and said, “come on Olga, it’s time to go”. After three days of teetering on the fine ridge between life and death, Olga passed away. Jeremy and Olga’s relationship was special and it was strong. “There was a connection between us. I can’t find a word to describe it. It was indescribable,” he told Mamamia. Much of his childhood was spent with his nan and pa as his mother who was only 18 when she had Jeremy. “We would go to bingo, to bowls, the things they enjoyed doing but my nan would always do the things I loved too like kick the footy with me or play cricket. We spent so much time together doing the little things. 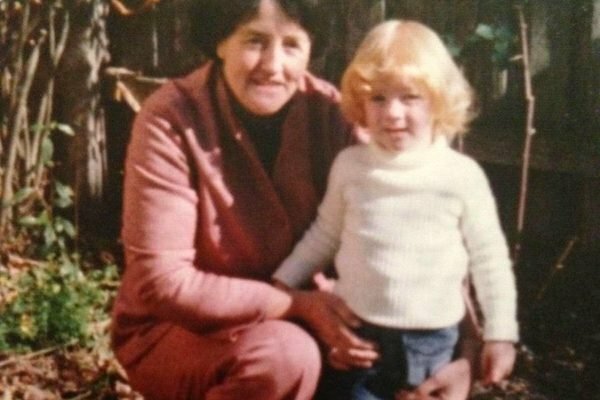 Jeremy with his Nan, Olga when he was a baby. Image: Supplied. 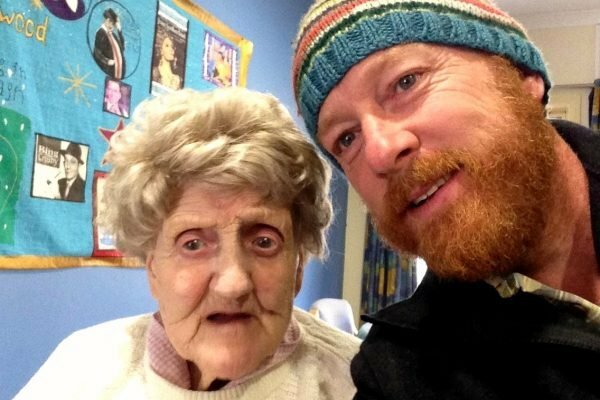 Jeremy’s connection with his nan transcends the barriers between generations and what some consider to be ‘real’ family. “My mum was adopted so my nan and I aren’t blood related. To me this makes our relationship even more one of a kind,” Jeremy said. “When I received the call from the nursing home to say my nan had deteriorated, I dropped everything and went to be by her side. When Jeremy arrived, he found seeing his nan quite confronting at first. “She had alopecia and always wore a wig, even at the nursing home, in fact I rarely saw her without it. This time though it wasn’t on and it was a lot to get used to." While they&apos;re not biologically related, Jeremy says that made their unique bond even stronger. Image: Supplied. While Jeremy sat with Olga, he told her stories and reminisced about memories they had together. He played her favourite music - Vera Lynn. He swabbed her mouth to keep it moist and rubbed cream on her legs and feet. From these actions, he noticed small physical reactions from his nan who was otherwise unresponsive. “I could see something in her eyes, she registered what I was doing and what I was saying. I knew she wanted me to be there and I know she knew I was. In the minutes before her death Jeremy noticed a noise, a ‘death rattle’, a sign that her passing was imminent. “This was when I picked up her hand. I felt the energy leave her body. It ran through her arm, into my hand which was holding hers and into me. I had never felt anything like it, it was incredible. It was then I knew she was gone. "I told her that I would see her again and I truly believe that I will, in another place and time.” Image: Supplied. After this, Jeremy describes going outside and just releasing the most “powerful roar”, an “explosion or release of energy.” This power and intensity was like a final act of what he describes as being the most “empowering and significant experience” of his life. For Jeremy, death isn’t something to fear. He believes it is a natural part of life we will all inevitably face, and it is something although difficult and confronting, we should be part of as the ones we love face it. 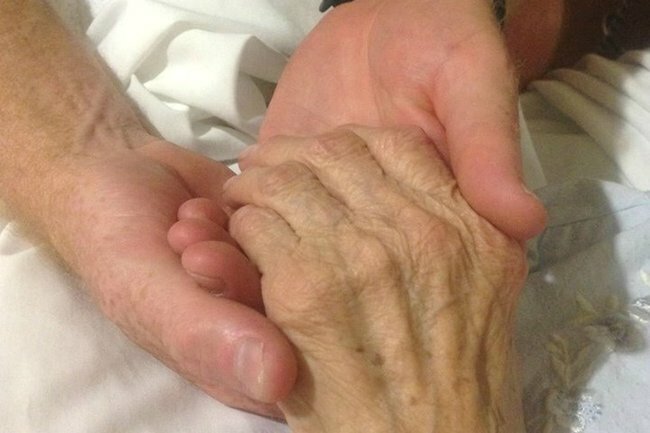 Jeremy attributes this perspective of death as well as the experience of being with his nan through her final days as the reasoning behind his decision to train as a ‘death doula’. A death doula, like a birth doula is there to offer support and compassion through a specific time. For those people who have no family or friends to be with them or who have chosen not to be, death doulas can step in to provide that assistance and make the process as comfortable as possible as a person is passing away. For Jeremy this is a way in which he can help other people, just as his nan did. Have you had an experience with a death doula? Tell us about it in the comments section below. 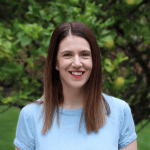 Shona Hendley is a freelance writer from Victoria. Shona is usually busy writing and raising her children: three goats, two cats and two humans. You can follow her on Instagram @shonamarion.